The local wildlife has inspired my ceramic work hugely in particular the Irish Hare, especially because there are two which often visit my garden and the filed beside my house. To my delight last March I captured a great photograph of one of the hares looking directly at the camera. As Iv been working quite a lot in Oil Paints recently I couldn’t resist but to create a painting of this particular picture. 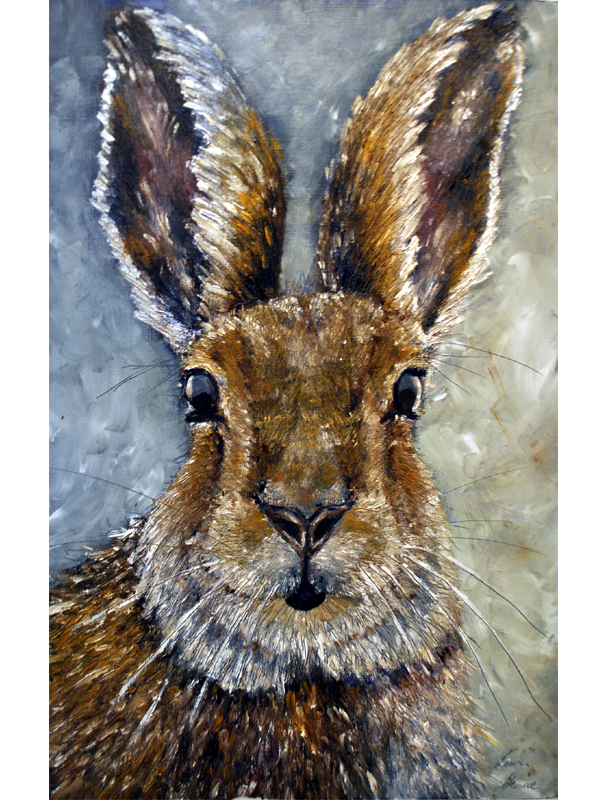 Irish Hare Oil Painting will be available from Gallery 1608 in Bushmills, There are also a limited edition prints available of this Painting.